Are turmeric health benefits truly as beneficial as they're made out to be? Can they really prevent and help reverse so many illnesses? Yes, turmeric health benefits are splashed everywhere these days. From Dr. Oz, Dr. Axe and just about every health professional worldwide, there is a common opinion, turmeric can be very beneficial to our health. In fact, not only can it help prevent certain ailments, but perhaps even cure some of them. Turmeric (or as many of us pronounce it as “tumeric”) has been around for thousands of years. So let’s start with a few basic facts before getting to the more important stuff. Without getting too complicated, it’s simply part of a plant belonging to the same family as the ginger family. It’s native to South Asia but can be grown in other parts of the world, weather permitting (it needs warm and moist weather to thrive). This plant has been around for thousands of years. It’s been used as a dye (because of its yellowish orange staining properties), used for medicinal purposes, but is mainly used today as a spice in cooking and baking. What makes this plant so medicinally beneficial? Turmeric health benefits are many because of compounds called curcuminoids which include curcumin. Curcumin is the main ingredient in turmeric, offering anti-inflammatory properties which are also high in antioxidants. Unfortunately curcumin is poorly absorbed by our bodies and studies have proven that it helps to consume black pepper with it. It has been noted that black pepper can increase absorption of curcumin by about 2000 %. So if you’re wondering why most turmeric recipes, even recipes such as smoothies, or teas also contain ground black pepper in the ingredients, better absorption is the reason. 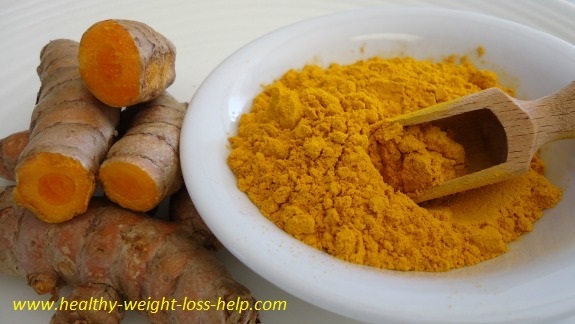 Turmeric is also the spice that gives curry its vibrant yellow-orange color. The most potent anti-inflammatory properties obtainable from a natural source. Being an anti-inflammatory means it can help just about any ailment that involves inflammation. Contains powerful antioxidants – a great way to strengthen the immune system and help prevent many diseases including cancers. 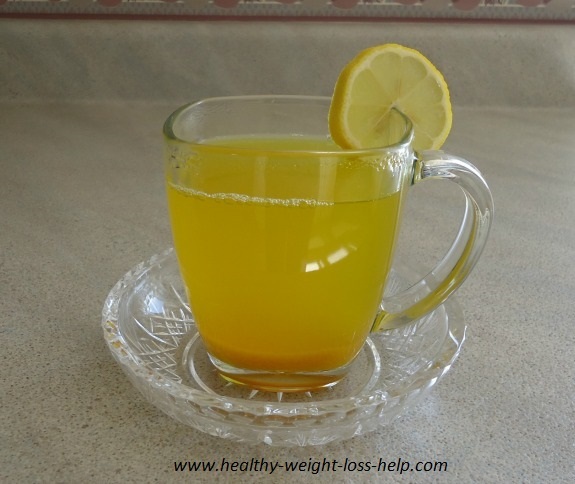 Helps With Digestive Issues – as it helps stimulate bile and reduce inflammation. It has been prescribed to help people with bloating, gas, heartburn, diarrhea, stomach pain, loss of appetite, IBS (irritable bowel syndrome) and even Ulcerative Colitis and Crones disease. Helps relieve pain. Studies have shown that turmeric can be just as effective as ibuprofen. Helps with depression. Though most of the studies were done on animals the studies did prove positive in reducing depression. Helps with Diabetes by stabilizing blood sugar levels. Helps prevent heart attack and stroke by being a blood thinner, preventing buildup of plaque in the arteries and helps lower cholesterol. In all honesty, it would just be easier to say that because turmeric contains such amazing anti-inflammatory properties and high amounts of antioxidants, it may be able to help with just about any ailment one seeks to fix. Both fresh and ground turmeric will stain just about everything they come into contact with, giving them a bright yellowish orange color. From your fingers to tea towels, cutting boards, garlic presses, stirring utensils and even some pots can hold on to the stain for a while. No big cause for alarm as the color does eventually fade. With all the attention this bright and colorful spice has caused lately we just had to give it a try. We don’t like complicated, so here are a few simple suggestions if you want to experience turmeric health benefits. We wanted to try both raw and ground powder forms to see which ones we liked the best. 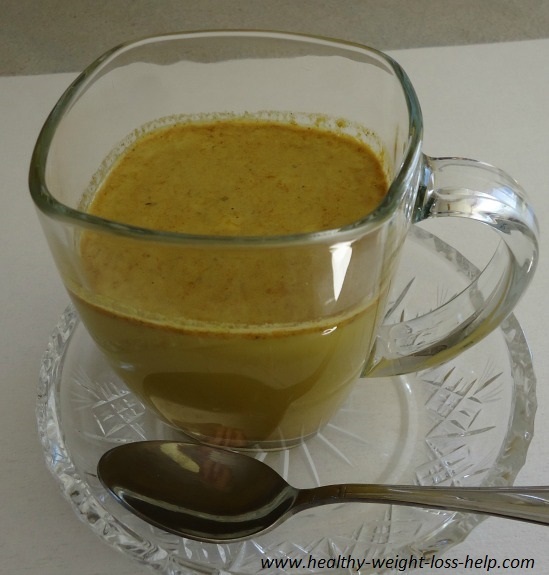 Raw turmeric was nice when we crushed it into certain meals such as soups, rice dishes and our homemade vinaigrette salad dressing. Since turmeric really isn’t overpowering like garlic you can put it in all sorts of foods and meals. Get creative. We used the powder form when making drinks. Here are a couple of simple drink recipes. It’s simple to increase or decrease this recipe to suit your needs. This drink can be served cold, room temperature or hot. When served hot, it’s the most delicious drink I've ever had. I know that sounds so exaggerated, but when I first looked at this drink, it did not look appetizing, in fact it looked a little gross. Once I got passed that and had a few sips, it felt like I melted and went to heaven. I hope you like it too. This recipe is for 2 servings. Please increase or decrease this recipe to suit your needs. Pour all ingredients into a blender and blend well. If you want a warm beverage, then pour this mixture into a sauce pan and heat on stove top. Do not boil the mixture. Remove when hot and enjoy. This is a great recipe to do if you are in a hurry. If you enjoy this drink at room temperature or cold than this is a great “to go drink”. 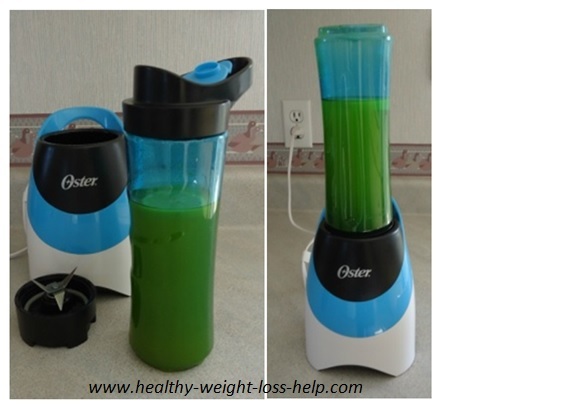 If you have one of these little blenders the mixing container is also a drink carrier. Just mix, change the tops and go. Eating just about anything in its natural and unprocessed state will always provide more benefits. Powdered turmeric is good, but fresh turmeric is fantastic. The best way to know if something works well for you and your family is to give it a try. We didn’t know what to make of all this high praise of turmeric so we tried it. Surprisingly, we actually love turmeric now and use it daily. We love to crush a little fresh root into some of our meals and we also like drinking the two beverages that we listed above (especially the warm milky one before bedtime, it’s soooo good). Do we feel any better since using turmeric. Perhaps it’s a coincidence, but we actually do. The three positive changes we have noticed is that we have more energy through the day and a more restful, deeper sleep at night. It honestly picks up your mood too, especially on those dark and rainy days. But try it for yourself and your family. The best part about this wonderful little spice is that it is inexpensive to buy. We picked up a package of about 10 fresh roots for under $3 and about 1 cup of the ground type for just under $4. I love things that are healthy, very budget friendly and easily obtainable at most supermarkets.